At the end of the day we meet in our hotel. 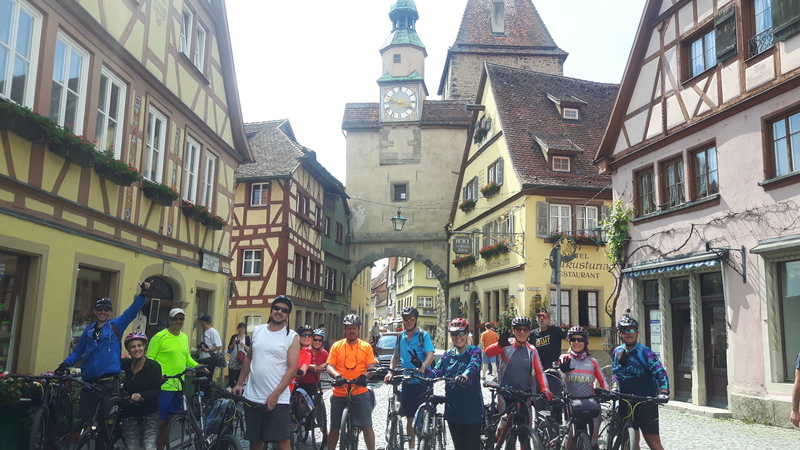 We start the day with a descent going down to the Tauber river. 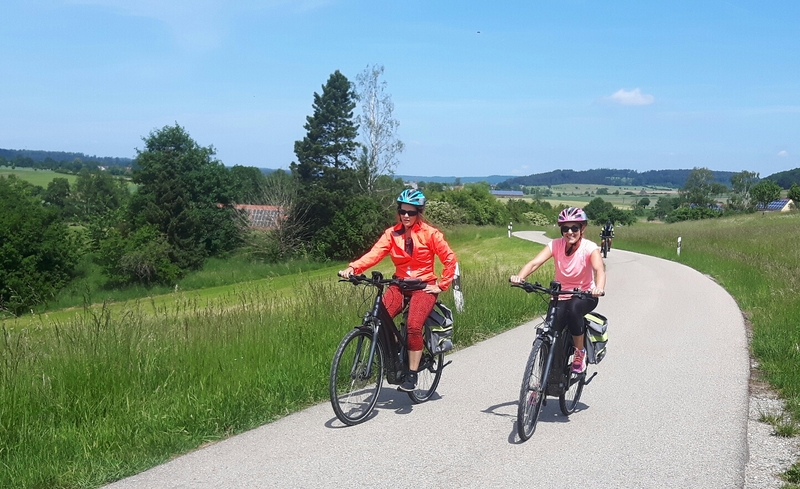 We continue cycling on cycle paths and small farmer’s lanes through picturesque countryside and small villages like Schillingsfürst with its castle in Baroque style. 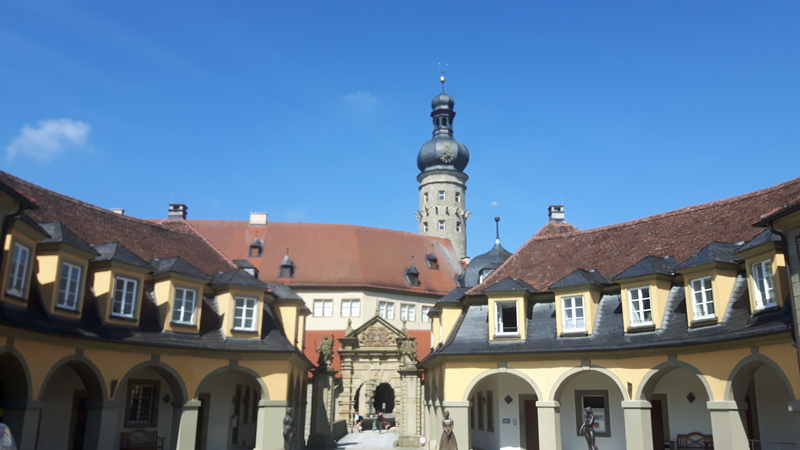 We spend the night in the beautiful city of Dinkelsbühl. 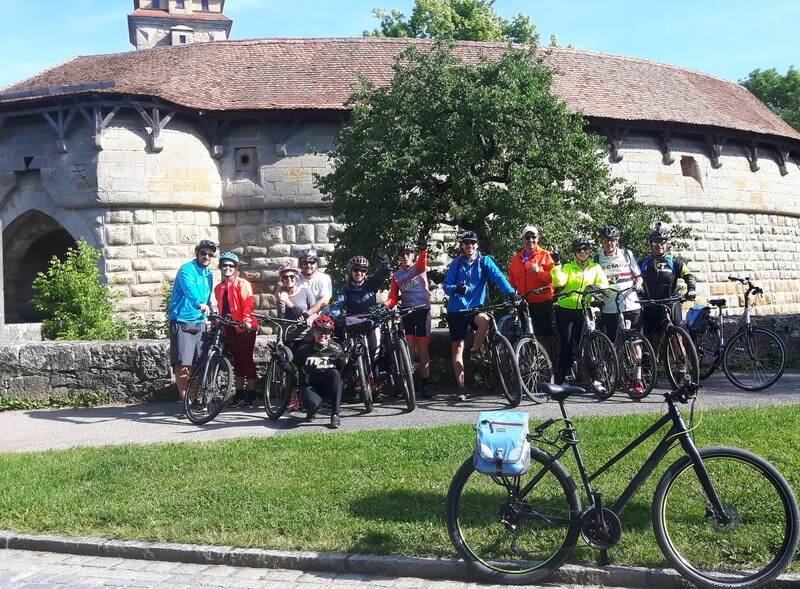 After breakfast we cycle through forest and lovely countryside until arriving at the city of Nördlingen. 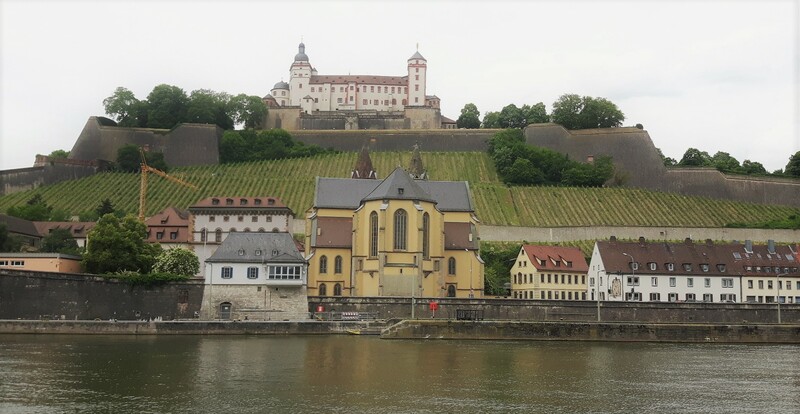 Here you have time to know a little of this ancient walled city with it’s church and tower. 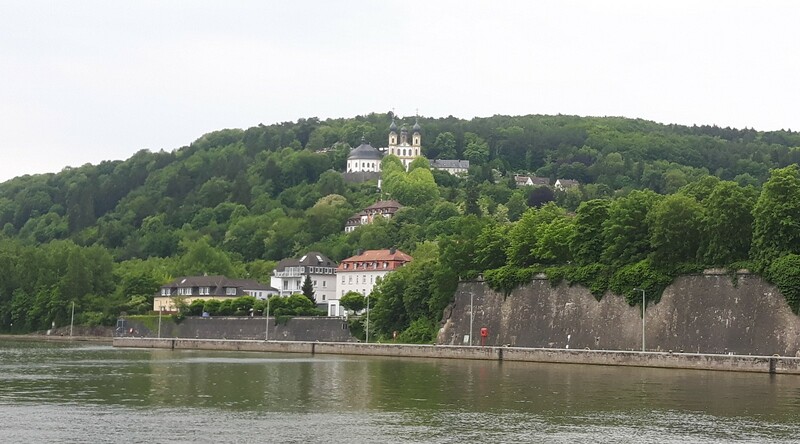 We continue cycling to the beautiful small town of Harburg with its old castle. 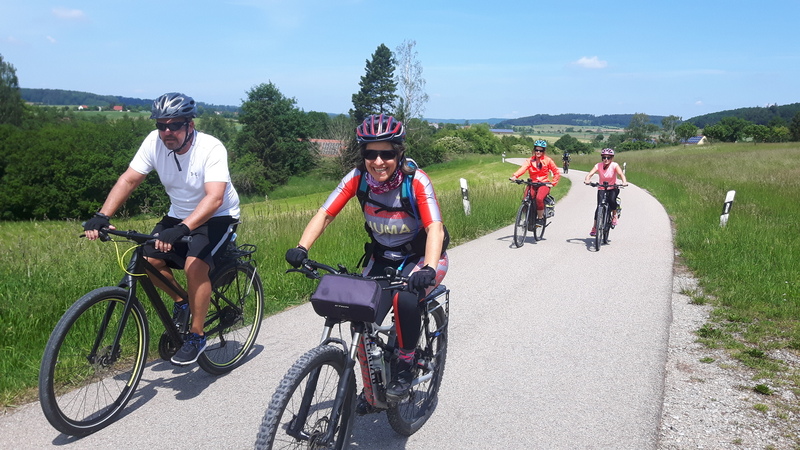 Cycling along the river Wörnitz we arrive at the pleasant town Donaowörth which is located at the river Donau. 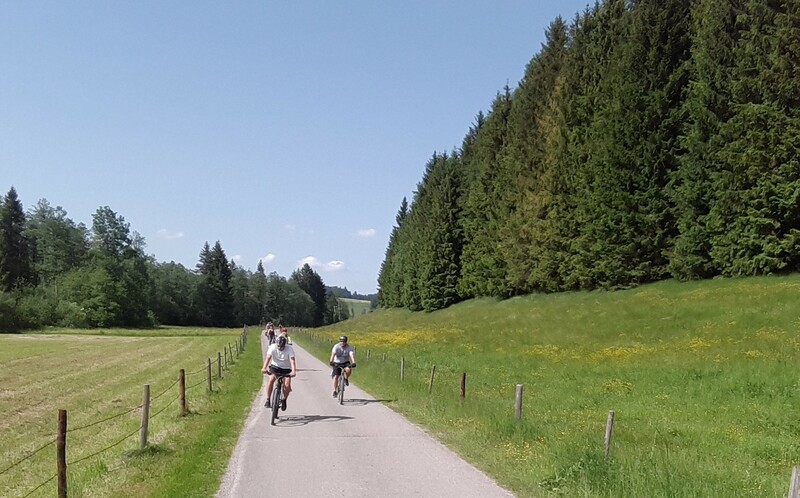 We cycle along the Schmutter river and pass through several small villaes. 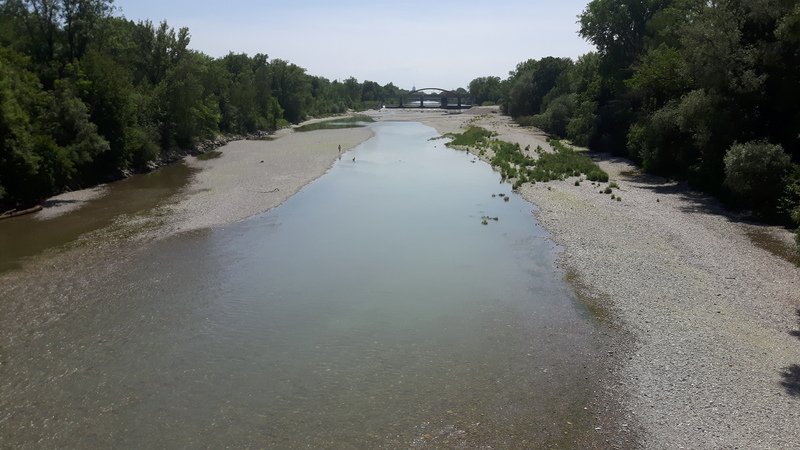 Cycling along the beautiful Lech River you will pass through forests and arrive in the interesting city of Augsburg. We try to get there early so we have more time to get to know the city. 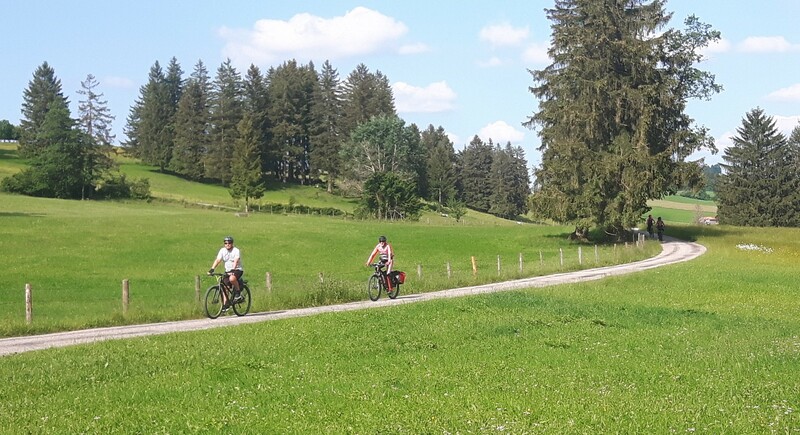 We follow the Lech River cycling on cycle paths that goes through the forests. The views over the river are very beautiful. 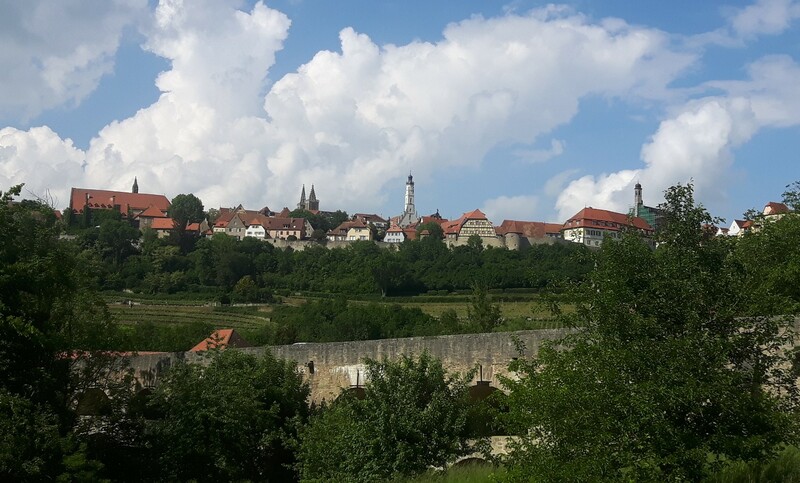 We spend the night in the beautiful city Landsberg am Lech lovely located at the river. 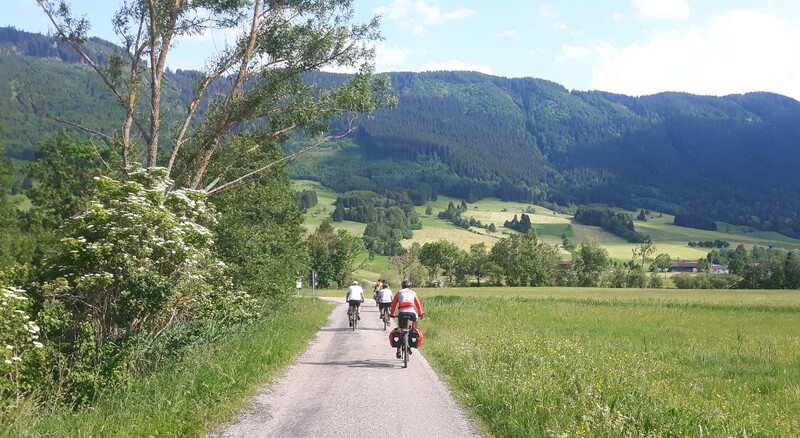 We start cycling along the river and in a short time we leave the river valley behind us. 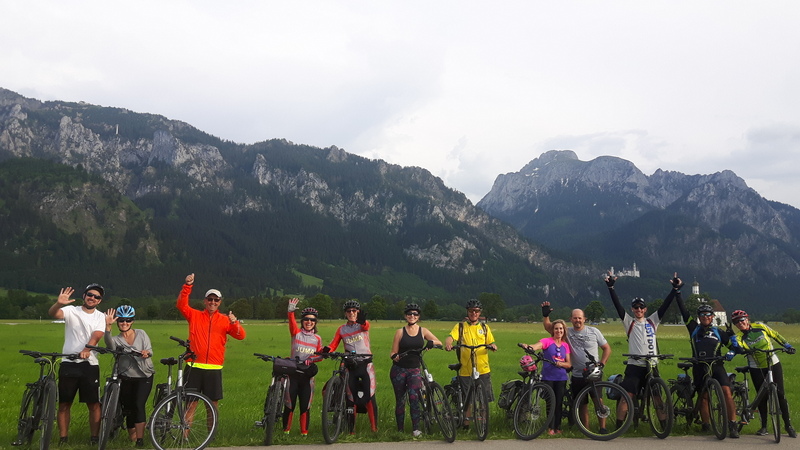 After a climb we are quickly rewarded for the wonderful views of the Alps. Now it will go up and down but always with a marvelous views! 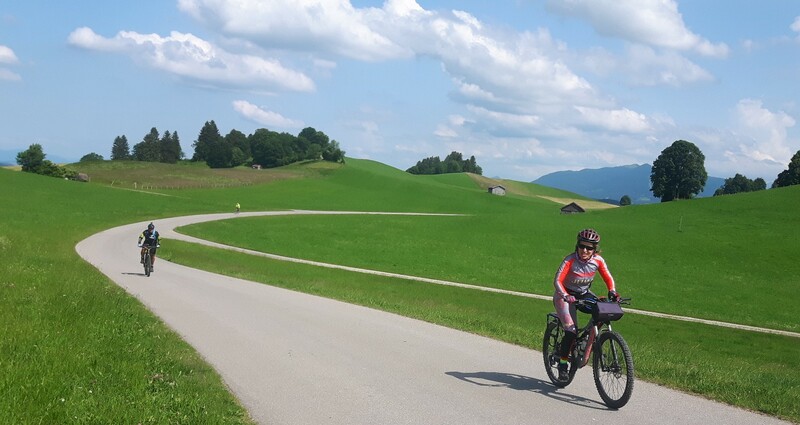 Today we cycle along the Alps. 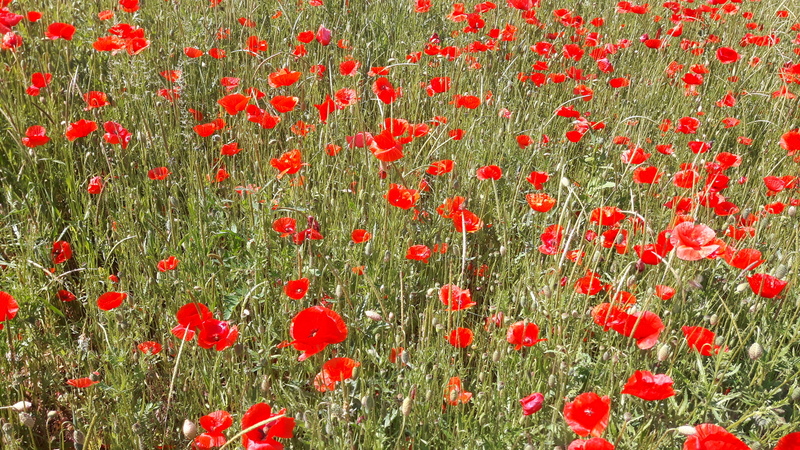 The closer it gets, the more beautiful it becomes! 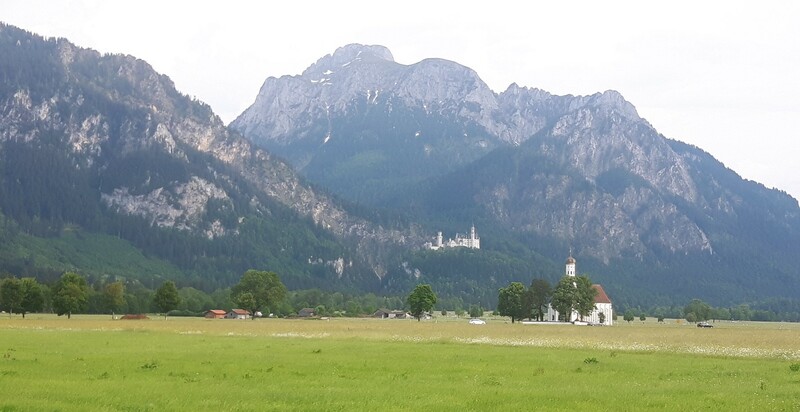 In the end we pass the famous Neuschwanstein castle.